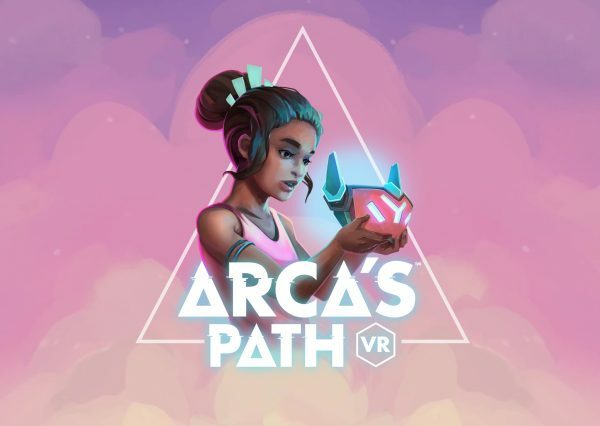 Arca’s Path is a VR game created with a singular vision: to make something anyone can play on any VR platform. Dream Reality Interactive, the studio behind the game, was founded by Dave Ranyard, the former face of Sony London Studios, developer of London Heist and various other PSVR titles. 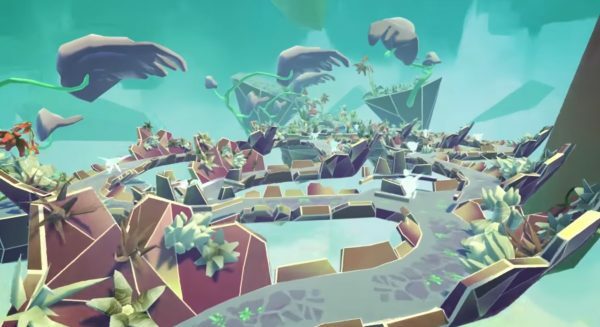 While the games made at Sony were all about showing off the new tech, Arca’s Path is about taking advantage of the immersive medium, removing the need for controllers, and implementing an intuitive, accessible control scheme. You play as a young girl trapped in a dreamscape, the story told via gorgeous, hand-drawn panels between levels. During actual gameplay, you control a ball and guide it through abstract, colourful environments, guiding the sphere along with head movement. It’s quite the departure from the gritty London Heist. The studio’s first game was an iOS title called Orbu, which is an AR experience that places a complex mini golf map into your surroundings. You pull back on the touchscreen to build up power and let go to slingshot the ball, sending it bouncing around the course. One of the programmers at Dream Reality Interactive also made Dangerball, a PSVR game where you hit balls with your head and bounce them towards targets in a 3D space. The game eases you in by asking you to guide your way through a simple maze with barriers at the edges, but later levels remove the barriers, adding seesaws, ramps, physics puzzles, bridges, and more in their place. Finish the game, find all the collectibles, and you unlock a time trial mode. If you want it to be relaxing, it is. If you want a challenge, that’s there, too. When the game stops holding my hand towards the end of the E3 demo, the course widens out and slopes down. It is there that I see the game’s potential – the sense of speed reminds me of a 3D Sonic game. The thing Ranyard loves about Sonic – apart from the fact the blue hedgehog can turn into a speeding ball – is how it marries everything together. The music, the sense of speed, the sound effects, the visuals – it all meshes to create a sense of flow, and that’s something Dream Reality Interactive is hoping to achieve in Arca’s Path. Ranyard calls it a “synergy”. It could be an interesting game – its pastel art style, its minimalist story, and the unique control method are certainly a novelty – but its success will lie in whether it reaches its intended audience. It might be a game anyone can play, but a more casual audience likely doesn’t have access to expensive VR equipment, whether that’s mobile VR, PSVR, or any of the PC options. Flights and accommodation to E3 for the author were financed by publisher Rebellion.